We are excited to transform these three locations into the 1st Source Bank Side-by-Side relationship experience! On this page you will find updates on the progress and related pertinent information. A full-service temporary location has opened across the street at 12455 Adams Road. Construction is scheduled to be completed by August 10, 2018. All telephone numbers and hours of service remain the same. NOTE FOR SAFE DEPOSIT BOXES: The safe deposit boxes at the Granger banking center have not moved to the temporary location. 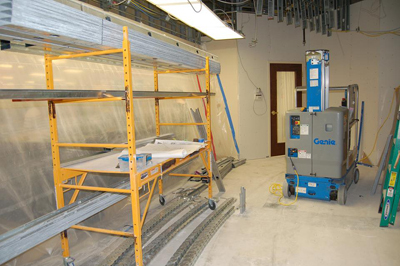 Due to construction, there is limited access to the safe deposit boxes. Hours will be every Tuesday and Thursday from 9:00 a.m.-noon, by appointment only. Please call 574-271-4235 to schedule a time. 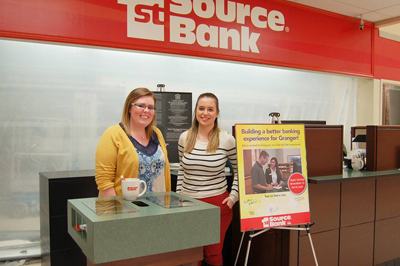 1st Source understands this may create a temporary hardship to our customers, and are offering a free safe deposit box for a year to any current Granger banking center safe deposit box customer who moves their box to another 1st Source Bank location. The two locations will be open throughout construction. The scheduled completion dates are June 4, 2018, for Granger Martin’s, and August 20, 2018, for BankMart. With Online Banking, you can securely access your account information quickly and easily - 24/7. Access your 1st Source personal banking accounts anytime, anywhere from your mobile phone or device.